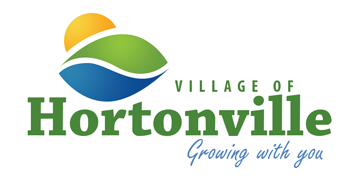 The Village of Hortonville’s Street Department is dedicated to keeping the Villages 14.47 miles of roads safe and clean. The services that are provided include pothole repairs, street sign maintenance, crosswalk and curb painting, snow removal and ice control (along with Outagamie County Highway Department) and brush and leaf curbside pickup. These permits can be obtained from the Administration Office at 531 N. Nash Street or by calling (920) 779-6011. Any work performed on County Highway M, which includes South Nash Street, North Nash Street (from Hwy 15 to Olk Street) and Olk Street (from North Nash Street to the North Village limits), requires that a permit be filed with Outagamie County.